On a sunny day, LA River staff hosted a community event called Environmental Summit on Saturday, April 28th, 2018. This event took place on the campus of Sonia Sotomayor Center For Arts and Science. The environmental summit focused on an art mural, sustainable food, and the LA River. Different grade levels focused on different projects. Not a typical school day. Visiting the different themed classrooms and focusing on different projects opened my mind about the world. Being able to experience something I never experienced all of my school years before. Our photovoltaics teacher, Ms. Arroyo had her students focused on energy and everything they learn during her teaching. Showing us how to use the sun as energy like for example The Solar Carnival her students did. Demonstrating how to use solar panels to gather energy from the sun to power up their miniature solar carnivals they made during class. The 9th grade class contributed to this summit by showing us an art mural they were working on but they didn’t finish on time. Instead the 9th graders gave a brief information about the mural and the process how they did to made it. 10th grade class project focused on making a sustainable dish. Explaining to the us why sustainability is important to our future, the environment, and social factors. Showing and explaining the cooking instructions to the people that came near their table. Distributing the food they made to the people from the community, teachers, and students from L.A River. The 11th grade class focused on the LA River and how we as a community can make it safe. We came together into groups of four, picked a certain problem the river had or has. Informing the people that are coming to this event about the different problems we found out about the LA River. Using our voices, talking about the type of solutions we came up with to improve the river. Making a trifold and presenting to the people from the community, asking us questions and answering them. Interviewing three students from L.A River and their thoughts about why they think the environmental summit is important. “The environmental summit is important because all grades participate and showed the community what we learned from our teachers and peers,” freshman Emily Hernandez said. “I think it’s important because it informs people in the community about how we can keep the environment clean,” sophomore Isaak Caballero said. 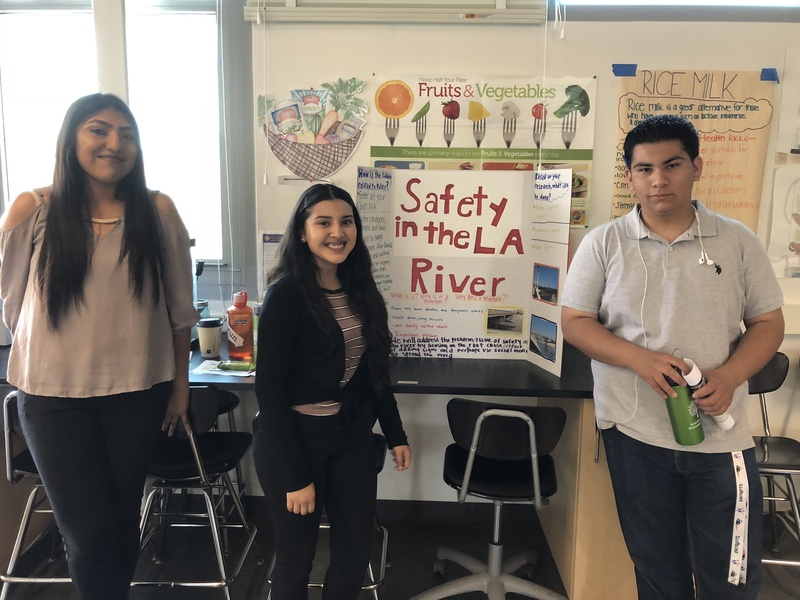 “I think it’s important because it informs us students and the community about what’s happening around our school and the environment overall,” Briana Gonzales said.